Strengthen your brand’s relationship with farmers through the strategic use of native advertising in your overall plan. As it turns out, this isn’t what I was expecting at all. Packaging material to match the design of the editorial environment is a given, I suppose. But while display banners signal that a farmer can choose to click on and go from an edit environment to a product’s sales pitch, a good native ad should promise a specific type of relevant information or experience that the farmer will find valuable. Not just promote the advertiser’s product. Don’t get me wrong. Native is marketing. There’s no need to dance around that; native ads should be part of a good sales strategy. Ag clients have the expertise that their customers seek to help make better operational decisions. They also always look for the best channels to share this directly with their customers. In native, this expertise takes the form of valuable information useful to the farmer that can build appreciation and trust for a brand. Put another way: with native, farmers should feel they’ll benefit from the click despite knowing the brand is paying for the ad. Display ads aspire to create sales. Native aspires to create value. With this in mind, how does native go beyond digital when marketing to farmers? 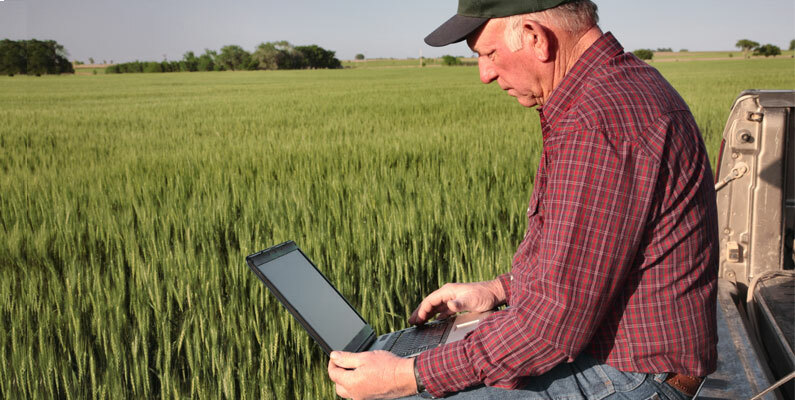 Farmers don’t make a living sitting in front of a computer screen. Anything on a screen that will have value to farmers will find its way into their fields, their crops and their livestock. When we produce a native ad, we do so with the intent of sharing knowledge the farmers can take to the farm. Why would the they read it otherwise? Yes, ag products want to play a role in their business, but our clients want farmers to know they can trust them. Native provides a direct line from your ag company’s expertise, to the correct editorial environment, to farmers seeking information, to their business.